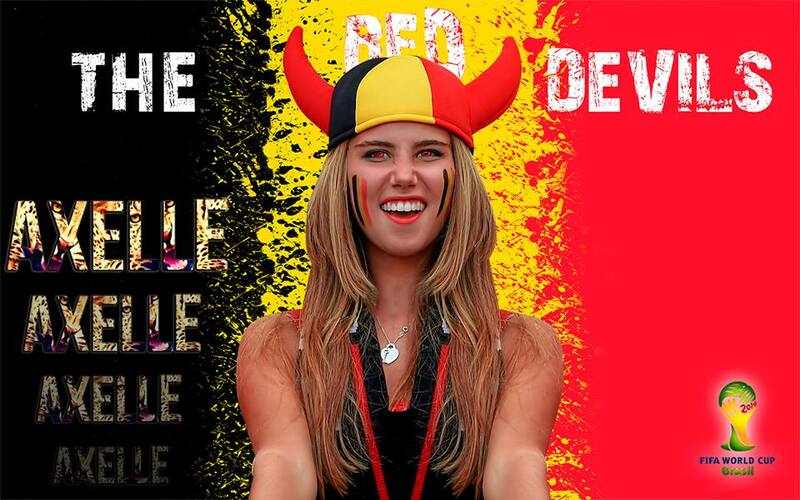 What’s in store for Axelle Despiegelaere? 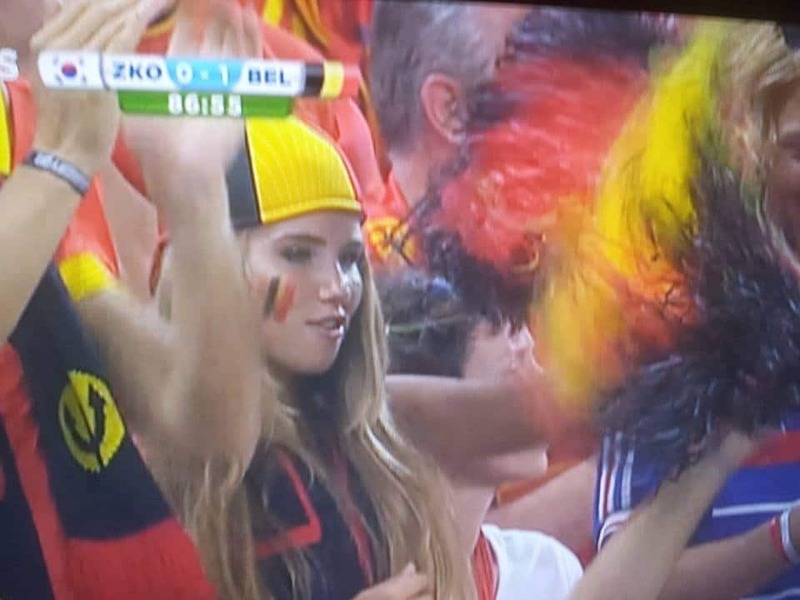 Against odds, Axelle Despiegelaere, a Belgian World cup fan has come to be awarded a modeling contract with L’Oreal after being spotted cheering in the crowd. 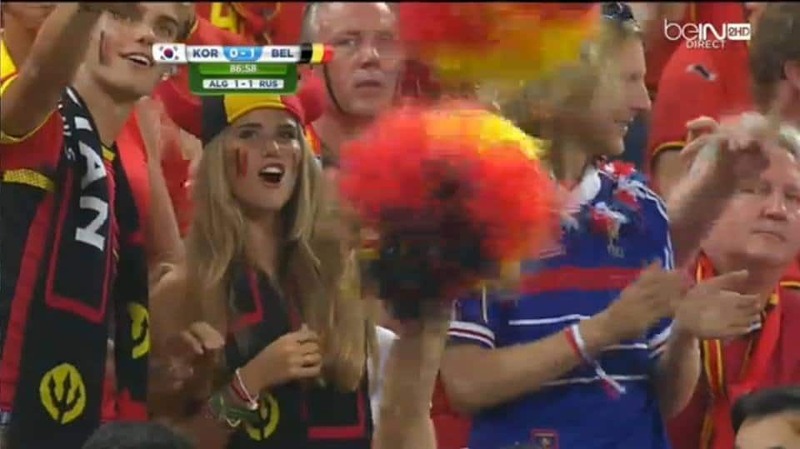 The 17 year old girl caught the world’s attention after being photographed cheering on her national team in the Group H match against Russia with her image virally spreading across the internet. 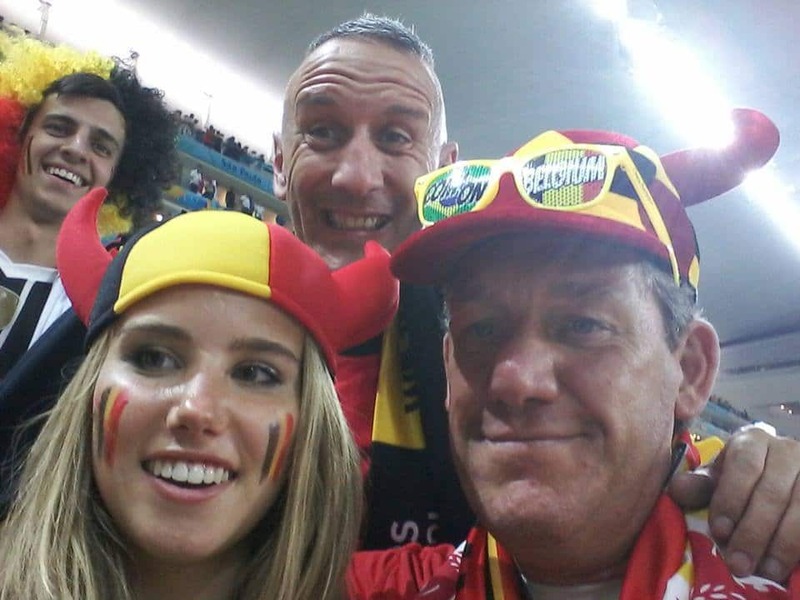 That said there is concern her public profile may be hurt after a photo of the Belgian emerged posing with a rifle and a dead animal in Africa. ‘Hunting is not a matter of life or death. It’s much more important than that,’ she said on her Facebook page reported The Sydney Morning Herald. Concern that the girl’s stance may not be all that palpable to fashionistas and the public in general comes after another photogenic teen went out of her way to also show off her love for hunting. In due course Texas’s Kendall Jones would come to have her facebook profile taken down and find herself being widely vilified. 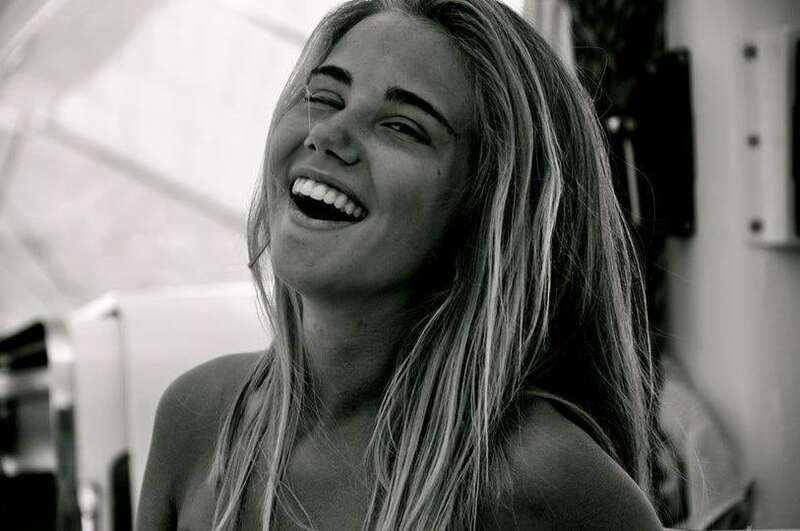 Something that some are wondering may now come to happen to Axelle Despiegelaere. 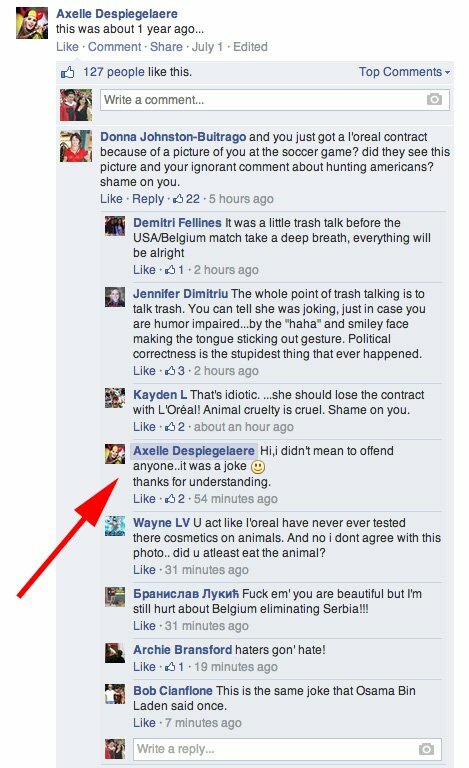 Businessinsider would tell this morning that L’Oreal had not returned their request for comment, nevertheless noting a video Axelle shot for the cosmetics company still up on their Facebook page. To date, L’Oreal has not responded to the revelations (don’t expect it to either), but it is keen to promote it’s image of animal welfare – in 2012 the company donated $1.2million to the U.S. Environmental Protection Agency to help improve the testing of safe chemicals. 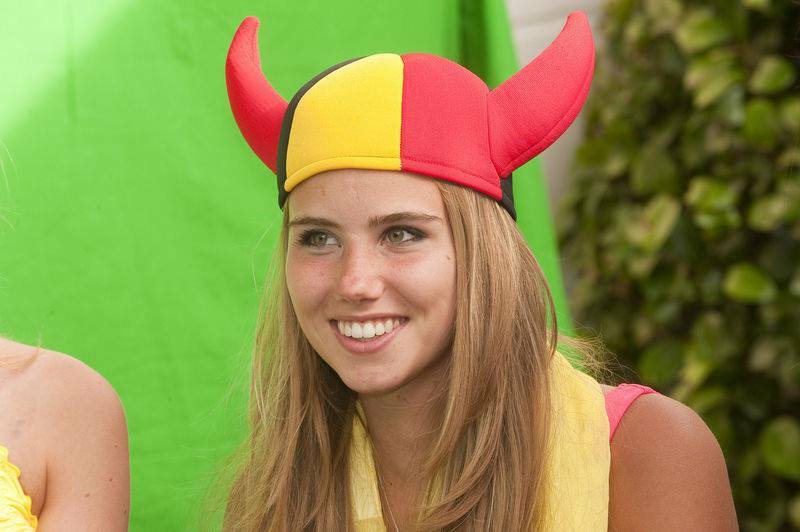 In the photo which scored Axelle her contract she doned red, yellow and black face paint and a horned hat when she was spotted at the match in Brazil. 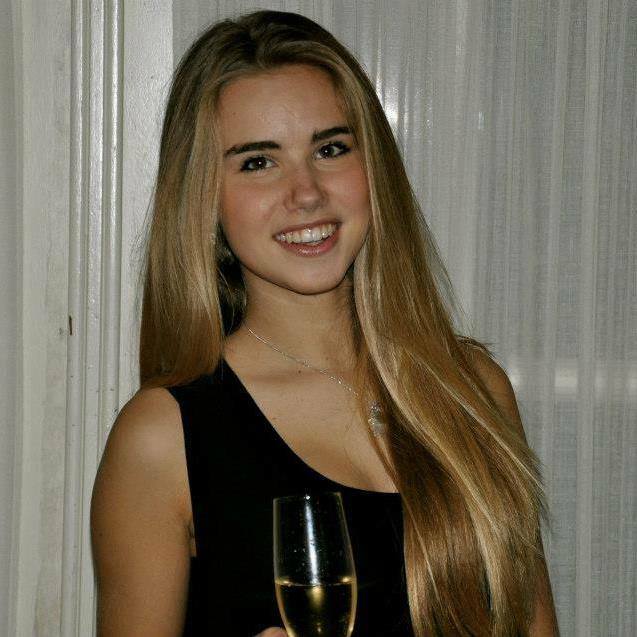 The pictures of happy Axelle quickly went viral and appeared in newspapers across the world, launching her new career. On Tuesday, she announced her decision to accept a contract modeling for L’Oreal and even posted a video of her trying out their hair products. Good move! !, they get almost free notoriety, at the end they claim to be the good guys. And in fact what they’ve done is treating Axelle as a disposable napkin for their own benefit. Well done L’Oreal Marketing dept.! Cheap Buzz! !